COMPRESSOR 9 HP. 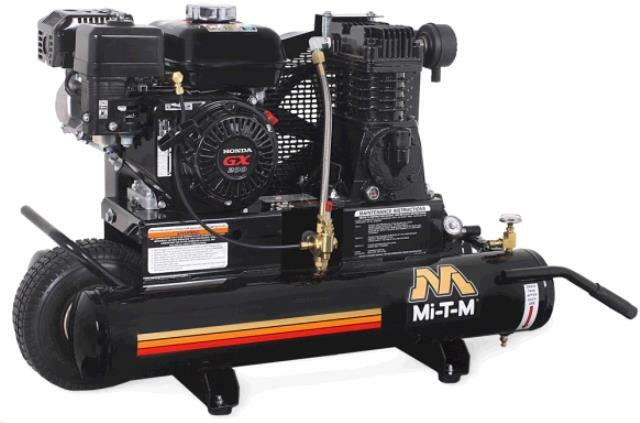 MI T M Rentals Ft. Collins CO, Where to Rent COMPRESSOR 9 HP. MI T M in Ft. Collins, Wellington, Greeley, LaPorte, Loveland, Windsor CO and all of Northern Colorado. WEIGHT 260 LBS, 9 hp Robin OHV engine, 8 gal twin tanks. Recommend a 1/2" air hose for maximum efficiency. * Please call us for any questions on our compressor 9 hp. mi t m rentals in Fort Collins, Wellington, Greeley, LaPorte, Loveland, Windsor CO and all of Northern Colorado.